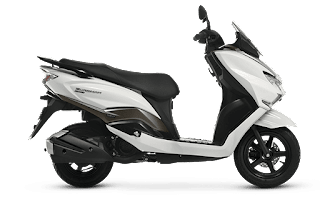 Top 10 scooty in india- top 10 scooty in India are aprilia sr 150, tvs ntorque 125, tvs jupiter, suzuki burgman street 125, honda grazia, honda activa 125, honda activa 5g, etc. Hi, gentlemen, my name is Yogesh, you are on www.wheelsbest.com and today we are talking about top 10 scooty in India. We will talk about their specs, price, mileage. So without wasting any more time let's get started. 1. 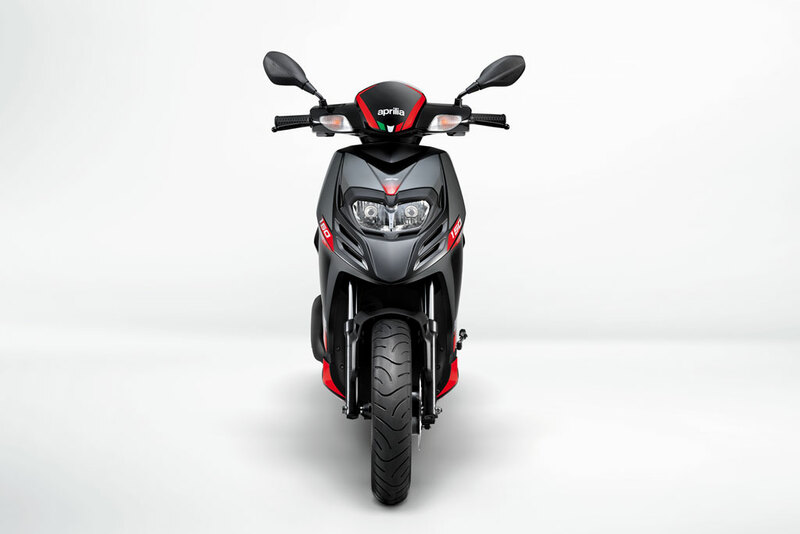 Aprilia SR 150 - It gets a single cylinder, 3-valves type engine, Who's displacement is 154.8cc. Which delivers the max power of 10.2 bhp@6,750 rpm and the max torque of 10.9 nm @5,000 rpm. It gets single cylinder, 4-stroke, 3-valves (per cylinder). Drie type is belt drive. Fuel delivery system is the carburetor, supported fuel type is petrol. First scooty in top 10 scooty in India. 2. TVs Ntorque- It gets a single cylinder, 4-stroke OHC type engine, Who's displacement is 124.79cc. Which delivers the max power of 9.4bhp@ 7,500 rpm and the max torque of 10.5 nm @5,500 rpm. It gets a single cylinder, 4-stroke, 3-valves (per cylinder). Drie type is belt drive. Fuel delivery system is the carburettor, supported fuel type is petrol. Second scooty in top 10 scooty in India. 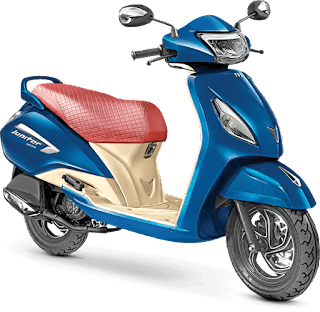 Price- Price of this scooty is 66 thousand 1hundred 25 rupees ex-showroom. 3. TVs Jupiter- It gets a single cylinder, 4-stroke OHC type engine, Who's displacement is 109.7cc. Which delivers the max power of 7.9bhp@ 7,500 rpm and the max torque of 8.4 nm @5,500 rpm. It gets a single cylinder, 4-stroke Drive type is belt drive. Fuel delivery system is the carburettor, supported fuel type is petrol. Third scooty in top 10 scooty in India. Price- Price of this scooty starts from 52 thousand rupees and goes up to 59 thousand rupees ex-showroom. 4. Suzuki Burgman street 125 - It gets an air cooled, single cylinder, 4-stroke,2-valve SOHC type engine, Who's displacement is 124cc. Which delivers the max power of 8.7bhp@ 7,000 rpm and the max torque of 10.2 nm @5,000 rpm. It gets a single cylinder, 4-stroke, 2-VALVES (PER CYLINDER) Drive type is belt drive. Fuel delivery system is the carburettor, supported fuel type is petrol. Fourth scooty in top 10 scooty in India. It reaches the top speed of 90 km per hour. This scooty can give the mileage of 53 km per litter. 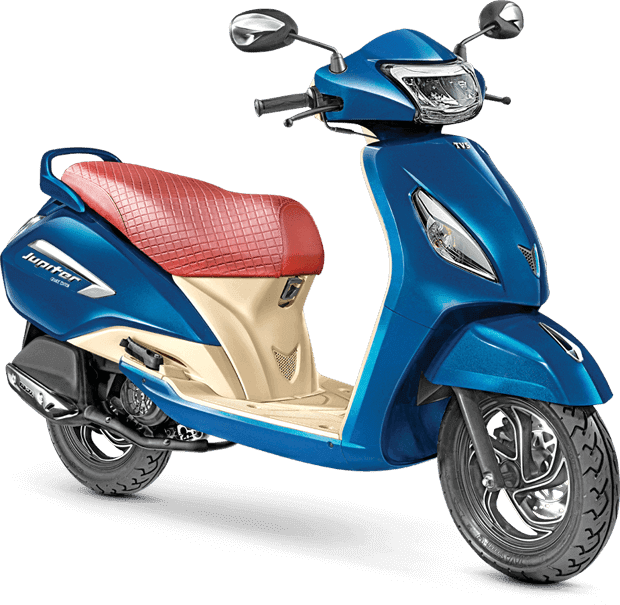 Price- Price of this scooty 67,891 rupees ex-showroom. 5. 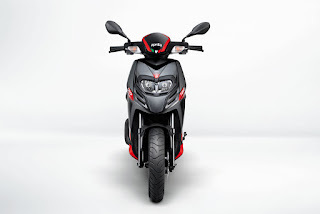 Honda Grazia- It gets single cylinder, 4-stroke,SI type engine, Who's displacement is 124.9cc. Which delivers the max power of 8.63bhp@ 6500 rpm and the max torque of 10.54 nm @5,000 rpm. It gets a single cylinder, 4-stroke, 2-VALVES (PER CYLINDER). Drive type is belt drive. Fuel delivery system is the carburettor, supported fuel type is petrol. Fifth scooty in top 10 scooty in India. 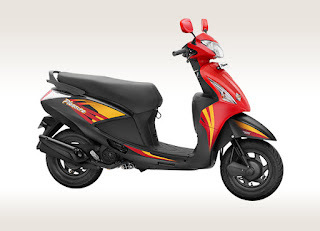 Price- Price of this scooty starts from Rs 59,637 and goes up to 64,009 rupees ex-showroom. 6. Honda activa 125 - It gets single cylinder, 4-stroke,SI type engine, Who's displacement is 124.9cc. Which delivers the max power of 8.63bhp@ 6500 rpm and the max torque of 10.54 nm @5,000 rpm. It gets a single cylinder, 4-stroke, 2-VALVES (PER CYLINDER). Drive type is belt drive. Fuel delivery system is the carburettor, supported fuel type is petrol. Sixth scooty in top 10 scooty in India. It reaches the top speed of 85 km per hour. This scooty can give the mileage of 60 km per litter. It gets 90/90-12 section front tyres and 90/100-10 section rear tyres. wheels type are sheet metals, wheels size is 12 inch for front and 10 inches for the rear, tyres type are tubeless. 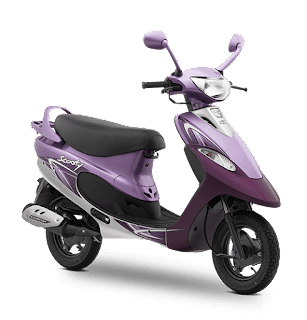 Price- Price of this scooty starts from Rs 59,638 and goes up to 64,023 rupees ex-showroom. 7. Honda activa 5g- It gets single cylinder SI type engine, Who's displacement is 109.19cc. Which delivers the max power of 7.96 bhp@ 7500 rpm and the max torque of 9 nm @5,500 rpm. It gets a single cylinder, 2-VALVES (PER CYLINDER). Drive type is belt drive. Fuel delivery system is the carburettor, supported fuel type is petrol. Seventh scooty in top 10 scooty in India. Price- Price of this scooty starts from Rs 53,581 and goes up to 55,446 rupees ex-showroom. 8. 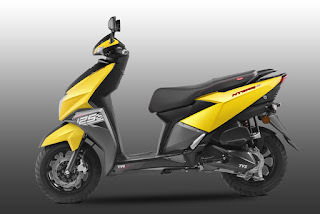 Honda dio - It has 109.19cc single cylinder, air cooled, 4-stroke engine. Which produces the max power of 8.11 bhp @7,000 rpm and the max torque of 8.91 nm @5,500 rpm. It comes with single cylinder and 2-valves per cylinder, fuel delivery system is carburettor. This has the fuel tank capacity of 5.3 litres and can give the mileage of 55 km per litre and can reach the top speed of 90 km per hour. This get's drum brakes in both the tyres. It gets bottom link suspension in front and hydraulic mono shock suspension in the rear. This get's 90/100-10 section tyres in front and in rear both. kerb weight of it is 103 kg and the ground clearance is of 158 mm. You can buy its std variant in 51,854 ex-showroom Chandigarh. Eighth scooty in top 10 scooty in India. 9. Hero pleasure- It has 109.19cc single cylinder, air cooled, 4-stroke engine. Which produces the max power of 8.11 bhp @7,000 rpm and the max torque of 8.91 nm @5,500 rpm. It comes with single cylinder and 2-valves per cylinder, fuel delivery system is carburettor. This has the fuel tank capacity of 5.3 litres and can give the mileage of 55 km per litre and can reach the top speed of 90 km per hour. This get's drum brakes in both the tyres. It gets bottom link suspension in front and hydraulic mono shock suspension in the rear. This get's 90/100-10 section tyres in front and in rear both. kerb weight of it is 103 kg and the ground clearance is of 158 mm. You can buy its std variant in 46,900 ex-showroom Chandigarh. Ninth scooty in top 10 scooty in India. 10. 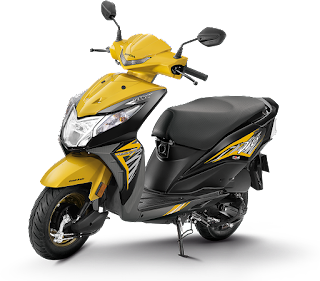 Tvs scooty pep - It comes with a single cylinder, 4-stroke engine, The engine displacement is 87.8 cc. Which gives the max power of 5 bhp @ 6,500 rpm and the max torque of 5.8 Nm @ 4,000 rpm. It has 51 mm bore and 43 mm stroke. It hs 1 cylinder and the fulling system is carbureted. This scooty has digital idi ignition, supported fuel type is petrol. It has a belt drive as drive type. It gives the mileage of 65 km per litter. The top speed is of around 70 km per hour. It has drum brakes in both of its tyres. It has tubular double cradle step-through chassis, Hydraulic telescopic fork as front suspension. The rear suspension is mono coil spring suspension. Wheel size is 10 inch and the tyres are tubeless too. Price of this scooty starts from Rs 40 thousand. Tenth scooty in top 10 scooty in India.